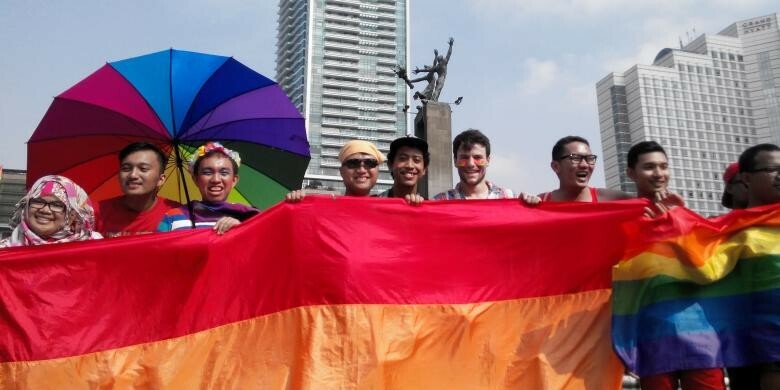 JAKARTA, Indonesia – The rector of state-run North Sumatra University (USU), Runtung Sitepu, has threatened to revoke the publishing permit of the campus’ student website, Suara USU (USU News), after the news outlet published a lesbian, gay, bisexual and transgender (LGBT)-themed short story. “When I found out, I summoned the person [who is responsible for the publishing]. [We have to] revoke the publishing permit of Suara USU because I don’t think it reflects USU’s vision and mission anymore,” Runtung said on Thursday as quoted by tempo.co. Runtung said USU strongly opposed pro-LGBT movements on campus. The rector, who has not read the short story, said he wanted the short story to be taken down from the website and all of Suara USU’s social media accounts. The short story, titled Semua Menolak Kehadiran Diriku di Dekatnya (Everyone Refuses My Presence Near Her), was promoted through Suara USU’s social media account on Monday and went viral not long after. The short story’s writer and head of Suara USU, Yael Stefany Sinaga, said she wrote the story to fight discrimination against minority groups. The lesbian characters in the story were only examples of such groups, she said. Yael said the board members of Suara USU had been summoned by the rectorate on Tuesday.